These 2m parasols look great as well as providing cooling shade on sunny days. 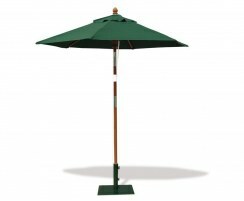 These sun parasols for the garden are available in a range of bright colours so they'll look contemporary and stylish in situ. These outdoor parasols are built to stand the test of time. 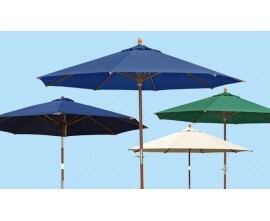 Tropical sun is no match for our quality 2m garden parasols. Browse the range below and order online today. These quality 2m parasols have been built to last, with air-vented canopies and sturdy poles for increased stability. Suitable for use at home in the garden or patio, and commercial use in cafe and pub gardens, our sun parasols for gardens will create cooling shade to shelter you and your guests from the sun. 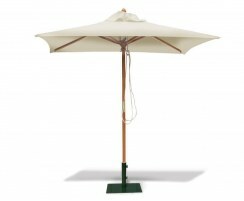 Browse our full range of outdoor 2m garden parasols here.